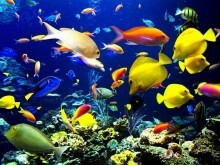 Aquariums welcome a part of nature into our homes that we may never otherwise see. Shaping these sunken communes, though, can come with a hefty price tag. After spending a fair bit of money on a tank, lighting, filtrations and corals, you’re still missing the best part, the fish! While all you may need is an imagination to concoct a fish tank, there is a lot to consider when it comes to a fish’s value and compatibility with other aquatic life. Fish are amazing and unique pets, saltwater fish tend to be more expensive than freshwater fish because of their beauty, size and the risk involved in catching them. Pond fish will add drama and brilliance to your backyard haven with their wonderful personalities and intriguing patterns and coloration. 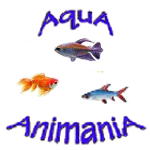 If you are looking to start an aquarium or pond, AquA AnimaniA has saltwater marine, freshwater tropical and outdoor pond fish plus a vast selection of highly nutritious fish foods for every environment and budget! No one offers a better selection of healthy pond fish than AquA AnimaniA. Pond fish will add drama and brilliance to your backyard haven with their wonderful personalities and intriguing patterns and coloration. 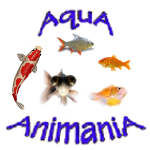 Trust AquA AnimaniA for the highest quality, healthiest freshwater tropical fish species in the industry for freshwater fish tanks, aquariums and ponds. We’ve got a great selection of angels, plecos, African and American cichlids, mollies, tetras, goldfish and much more! 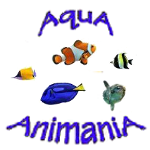 AquA AnimaniA offers a better selection of healthy marine fish for the saltwater aquarium than any other local pet store. From angels, to clownfish, gobies, tangs, wrasse and more, the finest specimens in the world are just a hop, skip and jump away.